As many of you know, my personal mission is to take nerdraps to new places. Namely, I want to bring it from the fringe of indie rap to more mainstream indie forums because I think a lot of people can relate to what we [nerd-inspired rappers] talk about, but don’t know that we exist. 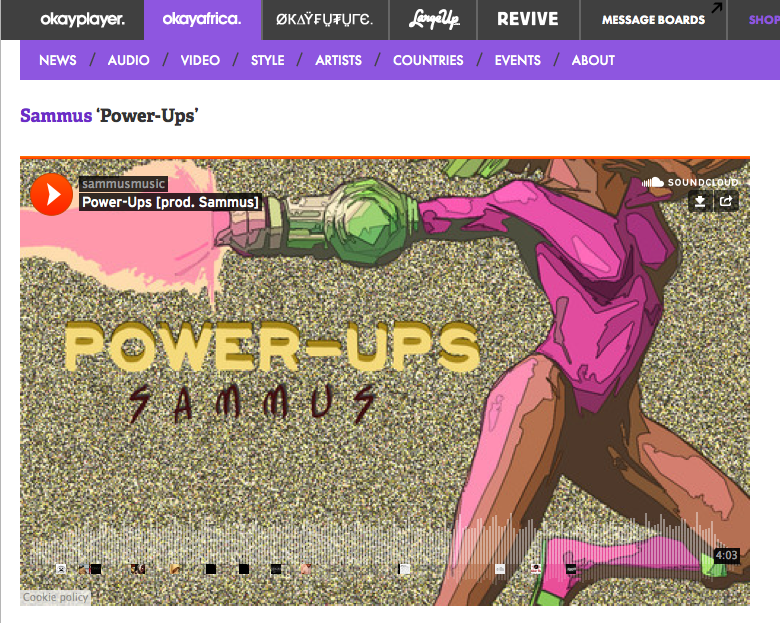 That’s one of many reasons I was super excited to find out that Power-Ups has been featured as one of Okayafrica’s “Weekend Burners” alongside my Congolese homey Well$! If you still haven’t gotten your FREE download, you can do so here — once that video drops you’re going to have pay!